Of course, you can do the opposite as well... Just plug a number in here and you'll get the Roman Numeral back. 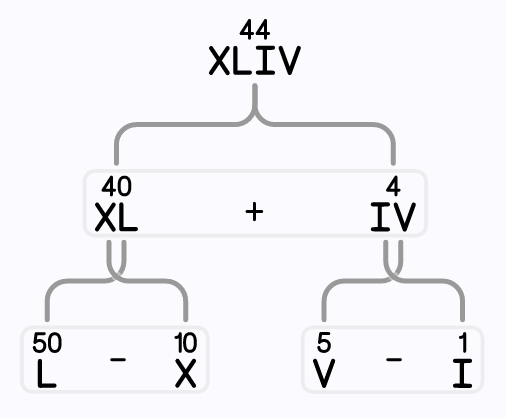 Best of all, this diagram shows you how that Roman Numeral is built from individual Roman Digits! Roman Numerals have never been this easy to understand! This Roman Numeral Converter allows you to enter either a Roman numeral or a number in conventional Arabic form and it will convert it instantly to the other. It also shows a complete parsing of each Roman numeral, a decomposition by place value and showing how it relates to a base-10 version of the number. ...then Roman numerals will probably start to make a little more sense. Either that, or you’ll be especially thankful for the Roman Numeral converter on this page! This numbering system was originally used in ancient Rome by merchants, mariners, shepherds and others to keep track of goods and services in commerce. It's use today continues in a varient of unexpected places, and being able to decipher Roman numerals continues to be one of the skills comprising a well-rounded education. The symbols used for Roman numerals likely evolved from the same sort of tally marks or hash marks we use today for simple counting exercises. What Symbols are used for Roman Numerals? You’ll notice a pattern... Roman Numerals have values that correspond to place value units of ones and fives, so there are two Roman numeral symbols in what corresponds to our one’s place numbers (I and the V, for 1 and 5 respectively), two for the ten’s place (X and L for 10 and 50) and two for the hundred’s place (C and D for 100 and 500). Like any other list of seemingly random information, you can use a mnemonic to try to remember the symbols and values. 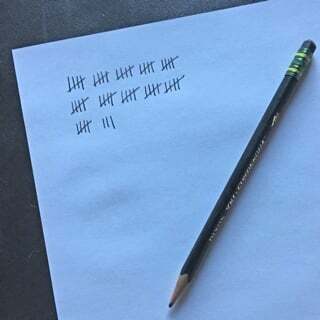 If you memorize the sentence, “I Value Xylophones Like Cows Dig Milk” the first letter of each word will corresponds to the value of each Roman numeral symbol in order ( I=1, V=5, X=10, L=50, C=100, D=500, M=1000). You can see how useful the Roman Numeral Converter might be, and it's also very easy to use. If you enter a Roman numeral, it will convert it to Arabic numerals and show you the visual representation. By decomposing Roman numerals into their parts, it is easier to see how the digits making up the Roman numeral are added and subtracted to create the more conventional number we deal with on a daily basis. Invalid Roman numerals are rejected, but the converter will attempt to convert it to a “best guess” and supply both Roman and Arabic versions. 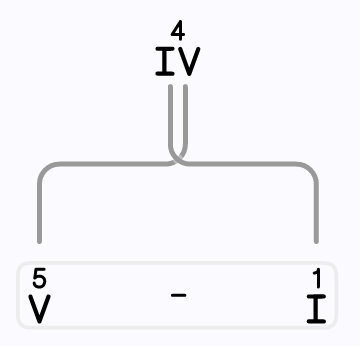 For example, the Roman numeral “IIII” is an invalid representation for the number four (the correct Roman numeral is “IV”) but the converter will take this input and correct it, and show you the corresponding visualization. You’ll notice the Roman numeral field will flash red briefly when this happens. Similarly, entering an Arabic number will instantly convert to the corresponding Roman numeral. Unlike with Roman numerals, it’s a little harder to enter an invalid number in the Arabic system, but the converter does only support values up to 3999, so any value you enter above this will be reduce by one thousand until it falls below this number. This is all fascinating, but if even after playing with this converter you may still ask yourself, “Why do we need to know Roman numerals?” It’s worth understanding where Roman numerals came from and why they’re still a part of everyday life. You might encounter Roman numerals in a variety of locations today, not just in Rome! You’ll see Roman numerals often where someone is trying to make something look more formal or official. It is not uncommon to see Roman numerals appear in copyright dates, chapter or section titles in documents or for big events like the Olympics or the Super Bowl. If someone has the same name as their ancestor’s, Roman numerals will get used as a suffix to distinguish that person from their parents, allowing a name to get carried down generation to generation. So you’ll see people who have a “III” or “IV” on their end of their name to indicate who they are. I had a friend who was “George IV” and we used to tease him that his parents just couldn’t come up with a unique name. Roman numerals still appear frequently in science applications, including identifying periods on the periodic table of elements and for identifying the oxidation number of ions. It’s also very common to see Roman numerals on the faces of analog clocks, especially on the large clocks on older buildings. This can be a great opportunity for learning Roman numerals and telling time! A recent trend is also for people to use dates to make Roman numeral tattoos. I hope you’ll think very carefully before undertaking something like this, and if you proceed, be quite confident in whatever Roman numeral conversion you've made. 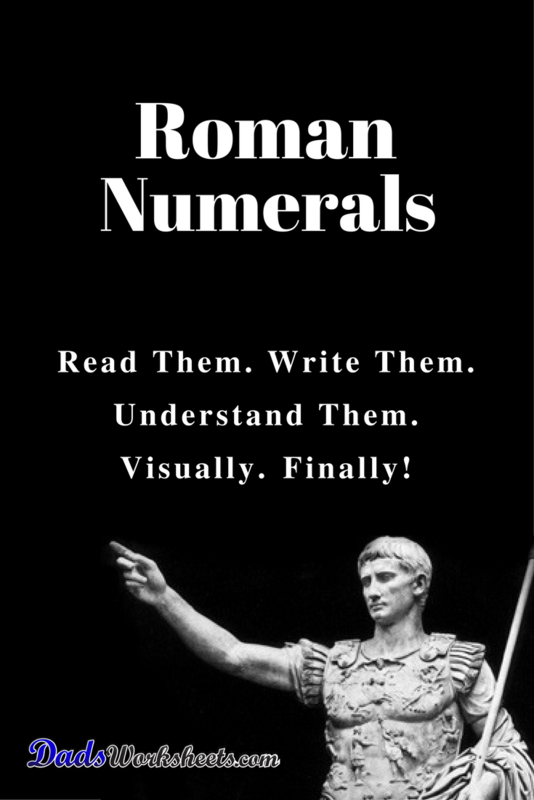 Regardless of where you find Roman numerals in the wild, you can always use this Roman numeral converter to figure out what number they mean. But that’s no excuse for learning to read Roman numerals yourself. While the official Common Core standards are silent on the topic Roman Numerals, it is a topic taught commonly in public schools because Roman numerals still show up in so many everyday applications. Because of this, alternative instructional standards such as Core Knowledge continue to incorporate Roman numerals as part of the student curriculum, typically as a math topic first introduced in 3rd grade and mastered in 4th grade. Here's a quick table of Roman numerals from 1 through 20. If you need to convert larger values, try a Roman numeral converter like the one at the top of this page! Need More Help Translating Roman Numerals? This converter is a great start for seeing how to translate Roman numerals, but sometimes you just need a simple Roman Numeral Chart for translating between Roman and Arabic numbers. Some of the charts include quick tips for converting Roman numerals, and you'll find chart variations for small numbers, years and even Super Bowl numbers. 02/12/2017 The Roman numeral converter would overflow the right margin when converting some values that had a larger number of Roman digits but few subtractions (for example, xxxvii). 10/2/2017 Minor corrections to the Roman numeral conversion chart.